A unique opportunity for residents to gain skills, be part of a team and feel empowered. 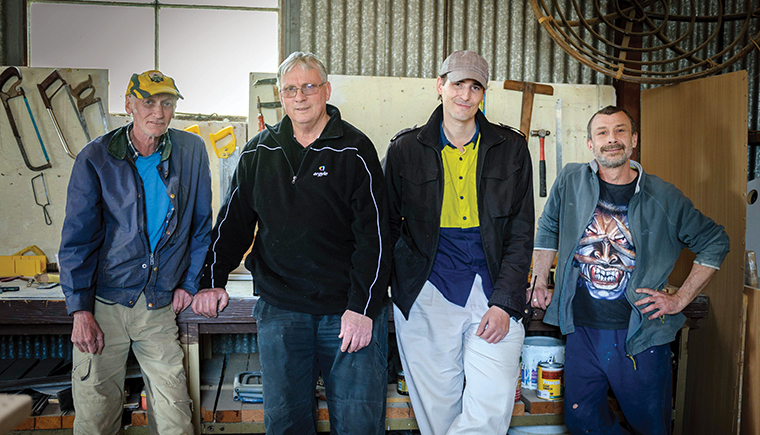 In 2016 seven Ainslie Village residents took part in Argyle’s applied learning program onsite in Campbell, ACT. A total of 2, 520 hours were volunteered, completing tasks such as fire warden patrol, pest and waste management, mail delivery, laundry room management and basic maintenance tasks. Each resident in the program is required to complete a minimum of 10 hours per week and report to our onsite Maintenance Officer. In return they receive rental rebates to put aside for gifts at Christmas time or trips away to visit family. Through the applied learning program we have seen dozens of residents gain trust, respect, commitment, community involvement and confidence. Over the past year two participants have set out and achieved significant personal goals through the support of the program. One tenant has been able to move on from Ainslie Village, secure permanent private accommodation and gain full custody of his daughter – due to greater employment prospects and a refreshed outlook. Another resident has used his newfound confidence and skills to secure a full-time job locally. Through the program Argyle receives assistance to maintain the site. More importantly, Argyle obtains valuable insights into the community onsite. The volunteers have become a voice for their fellow residents – informally becoming ambassadors for those living at the village. They openly and regularly provide honest feedback about how Argyle can improve Ainslie Village and the quality of life for all of those who call it home. We look forward to expanding this program in the future, with the hope of formalising the training for residents.